People spend a significant part of their time within the built environment, where they are exposed to elements that can have long-term implications on health and well-being. However, builders of real estate, in general, pay little attention to the health aspects of indoor spaces. Instead, they focus on design features and on meeting the minimum environmental standards in order to keep their costs down. But all this could soon change as the wellness quotient of a building gradually acquires prominence over the green quotient. In the context of office buildings, a study conducted by World Green Business Council to define the health and productivity benefits of green office buildings has concluded that improved ventilation boosts the productivity of workers by 11% while better lighting sparks a whopping 23% jump in efficiencies. Further, independent studies around this subject support the correlation between sustainable buildings and improved health, productivity and learning outcomes of those who occupy them. No wonder, best practices related to health are getting incorporated into third-party certification programs such as the LEED standard. In fact, healthy buildings are being seen as the next avatar of green buildings. 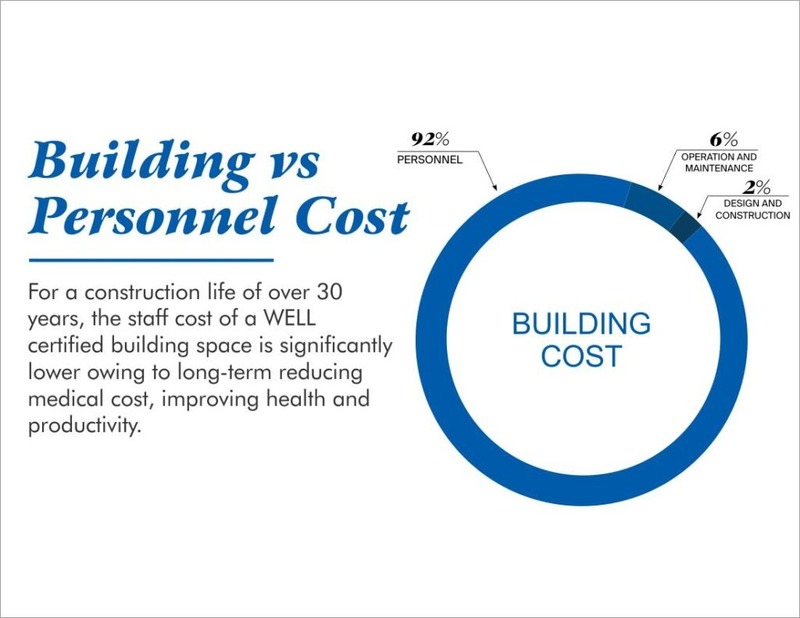 The WELL Building Standard, established by International WELL Building Institute (IWBI), is a performance-based system for measuring, certifying, and monitoring features of the built environment that impact human health and well-being. It assesses the building’s air, water, nourishment, light, fitness, comfort, and mind aspects for rating how healthy it is for its occupants. This thought is gaining ground in India now, and developers are starting to get their projects WELL rated.